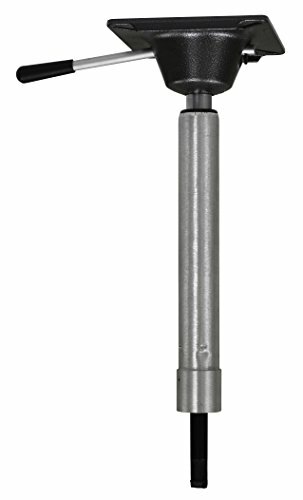 King Pin Power Rise Adjustable Pedestal Post features instant height adjustment with a touch of a lever. Rotates 360 Degree. Swivel is die cast aluminum with black powder coat finish. Fits King Pin Type bases. 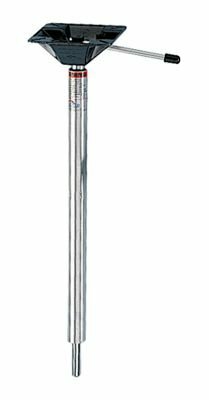 This unique Taper-Lock™ pedestal system allows a pedestal to be removed from its base and yet remain firmly in place when required. The slightly tapered Delrin™ bushing allows the pedestal to fit snugly yet disengage as needed. Locking tab helps prevent the pedestal from turning and keeps it firmly secured. By removing the pedestal, Taper-Lock™ becomes a "Hi-Lo" system which allows the seat to be used down in the lower position while the boat is under way. Post adjusts from 13-1/2" to 20". 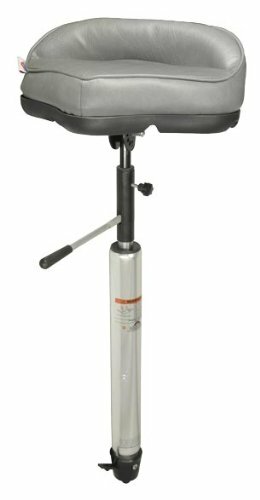 Springfield 1632013 Power-Rise Stand-Up Pedestal - 22-1/2" to 29-1/2"
Springfield Power-Rise Pedestals provide an adjustable height to be used as a seat or leaning post and feature 360 degrees of rotation and adjust from 22-1/2" to 29-1/2". Intended for use with Threaded KingPin bases, sold separately. 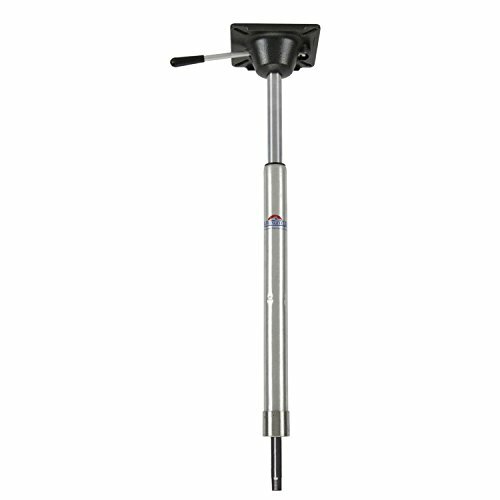 Kingpin Power Rise Pedestal with a touch of the lever gives you nearly 7 inch of instant height adjustment, from 16 inch to 22-3/4 inch . It includes die-cast aluminum seat mount with black powder-coat protective finish and rotates a full 360 degrees. Manufactured with a stainless steel power cylinder and fits all Kingpin bases. 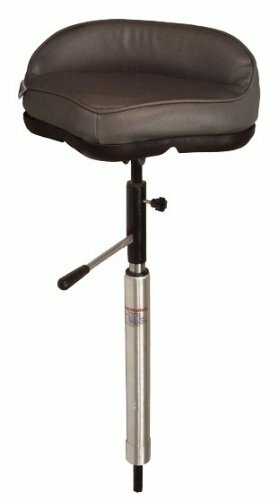 KINGPIN™ POWER-RISE ADJUSTABLE PEDESTAL - THREADEDAdjustable for control & comfort. Adjust height to be used as seat or leaning post. Rotates 360º. Use with any standard KingPin™ base. ABYC H-31: Class B. Power rise stand-up taper lock. 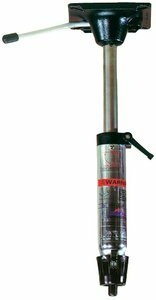 The package includes the following: power-rise stand-up pedestal that adjusts from approximately 22-1/2 inch to 29-1/2 inch. Pro stand-up seat. It features an injected, streamlined base and is finished with heavy-duty marine grade vinyl over plush foam padding. Available in grey color. Pro tilt bracket and swivel combo. This unique 6 position tilt bracket allows a comfortable position of your choice. 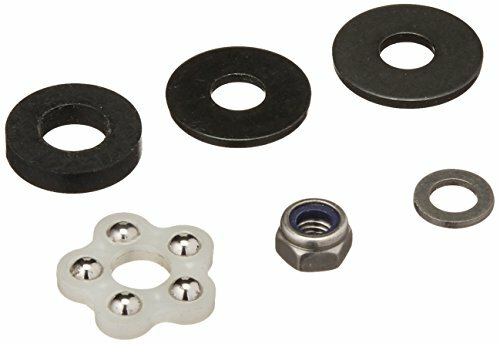 All the parts needed to repair a worn or broken power pedestal. Works with Springfield Marine products only. Power Rise Stand-Up Taper Lock. 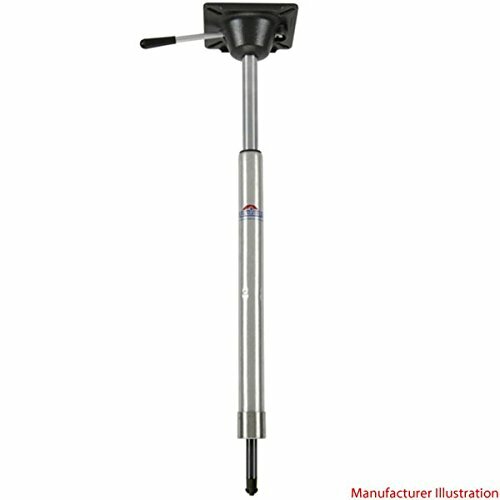 The package includes the following: Power-Rise Stand-Up Pedestal that adjusts from approximately 22-1/2 inch to 29-1/2 inch . Pro Stand-Up Seat. It features an injected, streamlined base and is finished with heavy-duty marine grade vinyl over plush foam padding. Available in grey color. Pro Tilt Bracket and Swivel Combo. This unique 6 position tilt bracket allows a comfortable position of your choice. 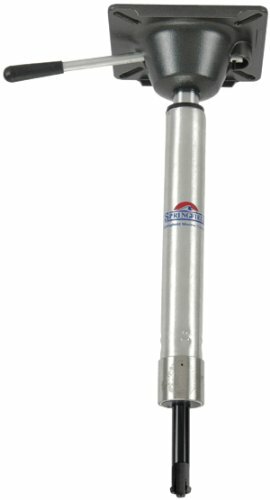 Springfield Marine 1612402-S Kingpin Power-Rise Standard Pedestal - 22.5-29 in. KINGPIN ™ POWER-RISE ADJUSTABLE PEDESTALAdjustable for control & comfort. Adjust height to be used as seat or leaning post. Rotates 360º. Use with any standard KingPin™ base. Adjusts: 22-1/2''-29-1/2''. ABYC H-31: Class B. Copyright © Wholesalion.com 2019 - The Best Prices On Power Rise Pedestal Online.